What role can community rail play in improving end-to-end journeys? Greater integration with the rest of the national rail network. In the case of the Abbey Line, this would mean through running of trains from St Albans Abbey to London Euston. A significant proportion of passengers on this community rail line continue their journey (with some difficulty) onto to London. 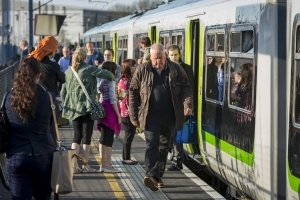 How can community rail help to make journeys more sustainable? What is the role of community rail in supporting community cohesion, diversity and enabling social inclusion? Potentially community rail has a considerable part to play. Many members of our communities do not have access to a car or are unable to drive. Rail travel provides an important lifeline to many groups – old, young, those on low incomes etc. Extend concession travel passes (particularly senior citizens) to community rail lines/CRPs. How can community rail help to make sure that the railway is accessible to as many people as possible? Much greater effort needs to be made by the statutory authorities (DfT, Network Rail) and rail operators to promote the engagement of users and non-users of community rails lines. Community involvement, particularly in deprived areas, doesn’t just happen – it requires support. It is significant that the document completely overlooks the role of Rail User Groups, all of them volunteer run, who can so easily be marginalised in forums such as CRPs and consultation exercises. Our local CRP, for example, rarely has senior representatives from DfT or Network Rail. Our recommendation is that a senior manager from each of these bodies should be allocated to each CRP and that the same manager should attend all meetings and events to ensure continuity. How can community rail support local economies and railways grow through increasing employment, education opportunities supporting small businesses and social enterprises? What role can community rail play in making best use of station buildings and railway land? It can be done – as community led projects on both Marston Vale (Ridgmont station) and Abbey (Bricket Wood station) lines show. But these examples show what huge demands are placed on voluntary and community groups in taking on the rail bureaucracy. Greater willingness to devolve to local agencies (both council and voluntary) needs to be shown by Network Rail with DfT offering grant regimes to assist in getting station and land opportunities exploited. How can community rail be best supported to act innovatively and effectively? What opportunities are there to secure a diverse and sustainable income base for community rail? How can community rail designation be developed to more fully realise its potential? How can community rail support & contribute to the development of rail line and stations improvement? 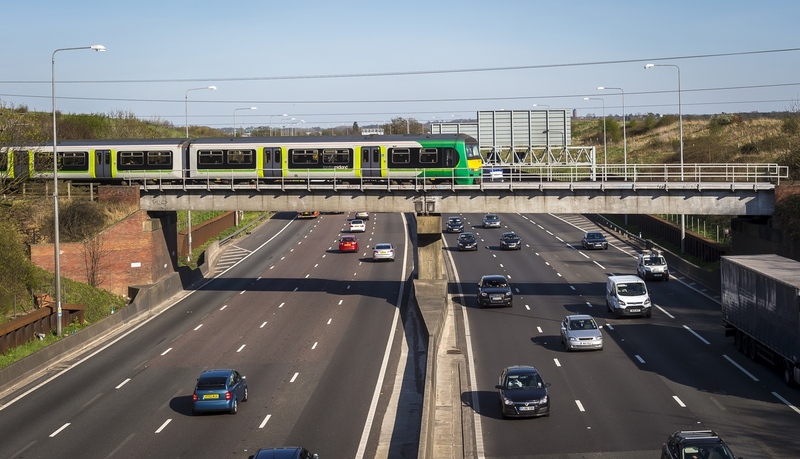 The Department for Transport needs to recognise the key agents for promoting developments both in community rail lines and in the housing, employment and leisure activities potentially serving these lines are locally based (local authorities, LEPs, rail user and other community groups). All of these have taken a massive hit in terms of funding and of volunteers in recent years which has seriously affected their ability to promote and support developments of any kind. Do you have any other comments on how Government can best support the future of community rail? Can we illustrate the problems facing our local community rail – the Abbey Line (Watford – St Albans). This 6 mile line is single track, resulting in an irregular service of one train every 40 or so minutes Even though it runs between two prosperous towns linked by congested roads, the train service is infrequent and consequently lightly used. All the statutory bodies (Network Rail, DfT and Herts. CC) have recognised the problem but have parked it in the “too difficult” pile. We want to show why it is important for there to be investment in the Abbey Line, initially with the addition of a passing loop. This would enable two trains to operate on the line and allow for a doubling of the current train frequency. To do this we need to commission a study to identify the benefits from increased revenue, reduction in car use, more efficient and quicker journeys, reduced overcrowding on the Thameslink route, improved reliability etc. Additionally we need to understand the costs of the passing-loop and the running costs of a second train. Once we have the benefits and the costs we can then present these to the authorities so that they can consider investing and realising the vision. We have successfully raised by our own efforts our target of £6,000 to fund 50% of this commission. A match funding grant of £6,000 would enable the consultants to produce a case equivalent to a GRIP 1 study. Such a grant award from the DfT would be a practical demonstration that it believes in, and fully supports, community efforts to improve community rail.